Q: Does Dr. Hah perform surgeries in the office, or do we need to go to the hospital? A: Dr. Hah has a fully accredited operating room located in our facility. That means it has the same or higher safety standards as the hospital. It is important to choose a surgeon who operates in an accredited facility for patient safety in office or hospital. Q: What’s the difference between saline and silicone? A: Saline is less expensive than silicone and can be placed through a smaller incision. Silicone can feel a little more natural, but generally under the muscle you can’t tell as much of a difference. Silicone is cohesive gel and comes prefilled. Saline is basically sterile salt water which is filled after the implant is placed. Q: Does Botox help with wrinkles around the lip area? A: Botox will not be useful for around the lips. It’s more for the forehead, frown lines (11’s) and around the eyes (crow’s feet). 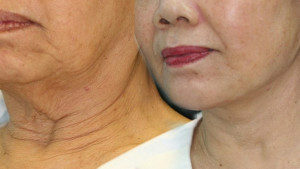 A soft tissue filler would be the best option for fine lines around the lips. Such as Restylane, Juvederm, or Belotero. A: It depends on each individual and the filler, usually 6 to 18 months. Q: What’s the difference between high, ultra high, and moderate profile for breast implants? A: Ultra high has a narrow width and more projection. Moderate profile is a little more round with a wider base width, and High profile has some projection and width. Q: What is the difference between Vaser liposelection and traditional liposuction? A: Vaser uses high frequency sound waves to liquefy fat cells, making the fat cells easier to remove. Vaser allows for more precise body contouring and faster recovery. 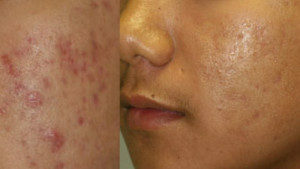 Vaser helps the skin contract between 30% to 50%. Q: Should I stop taking my hormones and other medications before my tummy tuck? A: Yes, stop taking hormones and birth control pills 3 weeks before and 3 weeks after surgery. A: Usually you are free to go back to your strenuous workout 4-6 weeks post op. A: Our breast augmentation and liposuction girls usually go back to office work 3-4 days after surgery. For our breast lifts, face lifts, and full tummy tuck most take off 7-10 days and then light activity for 3 weeks. Q: Would filler under the eyes take away the hollowness? A: Sometimes putting filler in the upper cheek helps with the loss of volume. You can do the lunchtime liquid mid-face lift, which requires three tubes of filler at a discounted price. Q: Do I have to be off cigarettes for my procedure? Q: Do you offer payment plans? A: We do not have in house financing/internal payment plans. We outsource the financing to medical finance companies and local credit union/ personal bank. FYI: Our patients have informed us that they are getting better deals and interest rates through their local credit unions. You can see our price page, bottom section for finance options our clients have found helpful. Q: Does my surgery quote cover anesthesia? A: Yes, the quote does cover anesthesia. The quote does not cover prescriptions needed for your procedure, bloodwork, and/or mammogram if required. Q: I have had gastric bypass and have extra skin on my abdomen can Dr. Hah remove it? A: Yes, We can routinely do these cases. They can be very rewarding. Most cases involve extra skin around the tummy, breast, and or arms. Dr. Hah could see you in a consult and help you with your best options. Q: How do I schedule and pay for surgery? A: You will receive a quote at your consult appointment. Your quote will expire in 6 months. It is our office policy to collect 20% of the quote to schedule your surgery date. We will schedule your pre-op appointment 8-10 days before your surgery, and the remaining balance will be due on your pre-op date. Q: Can more than one surgery be done at once? A: Yes, we often perform combined procedures. Often “breast and tummy ” procedures can be done in one setting if the patient has excellent health status. Certainly, we understand, one recovery period means less time off from work and/or school in addition to cost savings. Dr. Hah and his team can work with you during your consultation to determine if you are a candidate for the combined procedures you desire. Q: Does your office accept medical insurance? A: Dr. Hah is a triple board certified cosmetic surgeon. Our office is not able to take medical insurance as payment for cosmetic procedures. If your question is not listed above, please call the office at 409-883-5600 for further assistance.